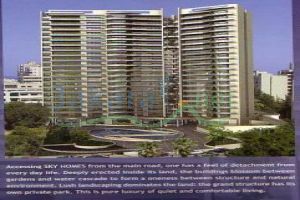 Located in the most prestigious area of Koraytem. Near College Protestonte and Saudi Embassy. Fully loaded with all facilities. Sea view. Area 600m consisting of 4 master bedrooms, 2 separate sitting rooms, 3 salons, dining room, large kitchen, 6 bathrooms, maids room, balconies and other utilities. With air-conditioning and central heating and 4 independent parking lots.